Are you curious about what it takes to have a fantastic garden that works for you? Flex your green thumbs by reading our gardening guide, and get started today! You can save money, be healthier and happier when you get stuck into gardening and turn it into your new hobby, so get started today by reading on. If you are looking to get outside help with your garden, it is good to work in general terms. You can expect most gardeners to aim for earnings starting at £150 a day. If you don’t need them for an entire day, this means they will likely charge between £20 and £40 per hour. 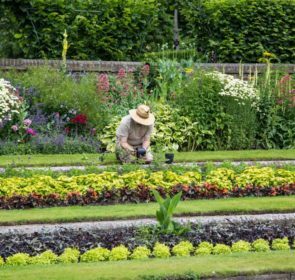 There are so many services a gardener can offer, from occasional lawn care that could cost you as little as £40 per month to full-on garden designs which can cost in the tens of thousands of pounds. The good news is, it’s up to you to determine how much help you need, and how much you can do yourself. Read on to find out how to begin! Save the hassle & keep the fun for yourself! Having a garden that works can truly transform our lives – from an overgrown or littered eyesore to a charming relaxation haven. However, the time and effort needed to do the project aren’t within everyone’s reach, so get the help you need to actually live this dream! Get up to 5 local gardener’s quotes within a couple of days, start by clicking here. They will do the dirty work so you don’t have to. What does your ideal garden look like? How many resources can you allocate to it? Make sure your site has enough sun and access to water for your needs. Test the soil (you can buy a kit online) and see what type of soil it is. This will also depend on whether you want a veggie, herb or flower garden. Each has different requirements, so think about it beforehand. Put shade loving plants and sun-loving plants in appropriate places, and think about how you’ll be using it and shape the space accordingly. Alternatively, hire a garden designer! They have tons of expertise and could even advise you so you can do most of the fun parts yourself. How much time and cash do you have to invest in your garden? There is always something to be done, so if you want to make this your full-time hobby, this is within your reach. Otherwise, consider hiring a regular gardener to do the things you’re not keen on. If you’re wondering when to plant certain veggies and flowers, you will have to research each plant individually. You could potentially plant year-round, so do your research and sketch out your gardening plan accordingly. 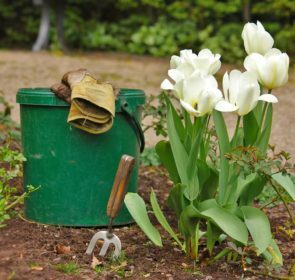 Gardening isn’t just for pensioners and fanatics now – even people who don’t know their hook from their hoe are embarking on their own garden project. They have found out about the benefits of gardening and are using them to their advantage – here’s why! Gardening gets you out of the house, and onto your hands and knees, and back up again. You’ll use crucial back, leg and arm muscles that will sustain you into old age with great mobility and endurance! You will also benefit from higher levels of vitamin D, keeping your bones strong. This isn’t the only health benefit, however! Gardening is known for reducing stress, by getting you out of the house and working with your hands – plus it’s a lot more satisfying mentally to build and grow things literally from the ground up! 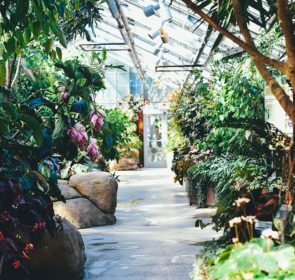 Gardens are also used in specific therapeutic environments like care homes or cancer centres, because it represents a “positive distraction” and relaxation for vulnerable individuals. You can be the change you want to see in the world! By cultivating a garden (especially one that supports native plants and insects) you will benefit your immediate environment as well as having a small impact on the world. Contribute to more CO2 absorption and balance your carbon footprint by turning gardening into a hobby. You could even turn your hobby into a money maker – either by becoming a horticultural expert and growing plants you can sell, or growing fruits and veggies so you can save on groceries! There are multiple ways for you to make money out of your garden, so get creative and turn your hobby into a side job. 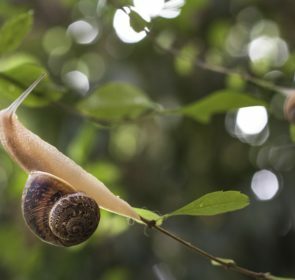 You don’t have to do all of the gardening work yourself, and even if you have grand plans it’s totally okay to admit you need outside help if it becomes too much to handle. Keep the fun jobs for yourself and have an experienced professional do the hard bits and advise you. Get up to 5 quotes from local gardeners by entering some information into our secure form. Our customers have saved up to 40% on gardening, just by comparing!